I've made a few art prints and I'm selling them in my etsy shop. 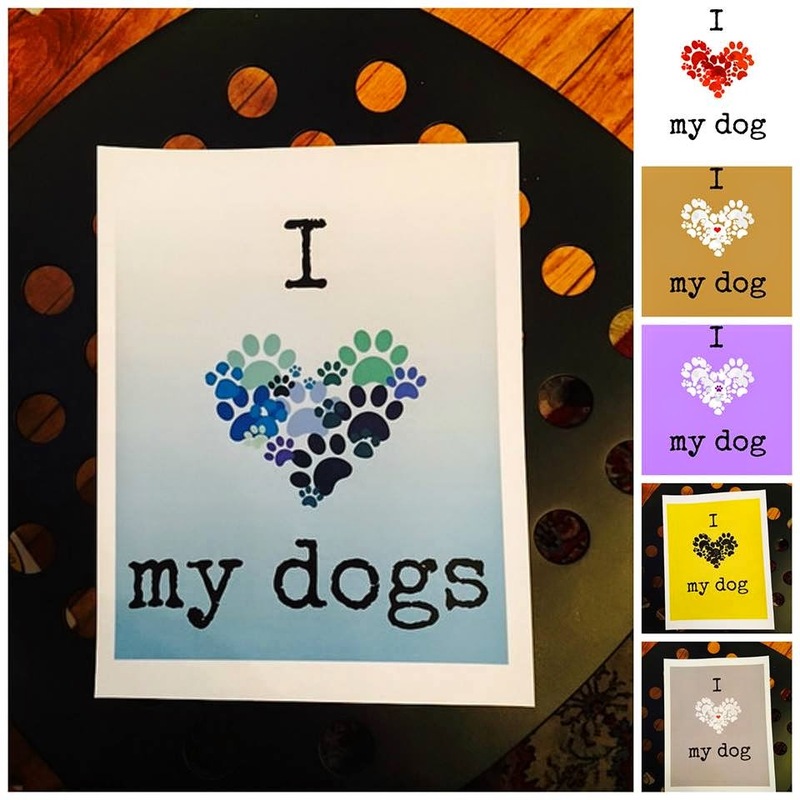 100% of the profits from these prints go to my local dog rescue, Fur Babies Rescue and Referral (www.fbrrny.com), where they help many MANY animals in need. This includes dogs, cats and bunnies. They are entirely foster based, and when they don't have foster room, they must put the animals in boarding. That is expensive. I love dog rescue. I love it. 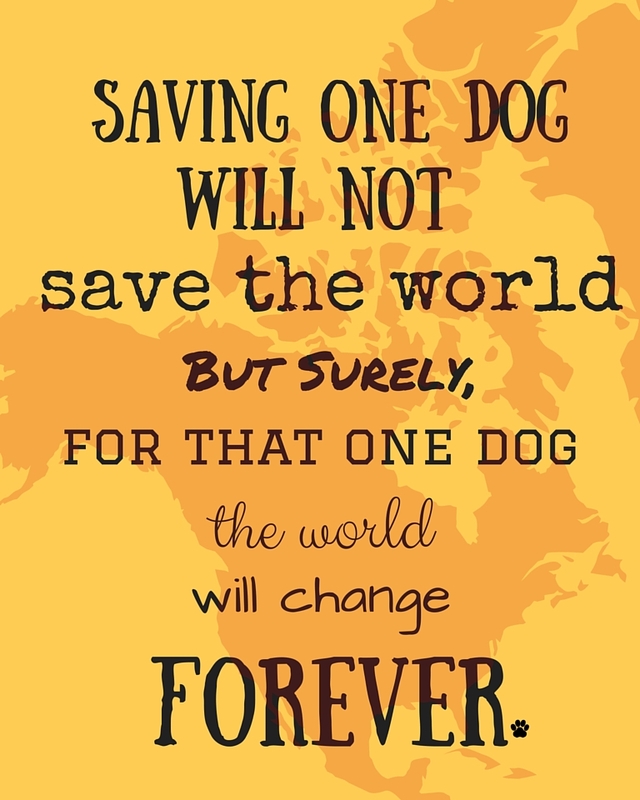 No matter what organization I work with, I have found many kind people who are looking to change dog's terrible situations as best as they can. It can make you very sad. It can make you very happy. It is hard work, and I am glad to help in any way I can. Part of what I do is create social media posts. Part of what I do is share posts on social media. But I thought, if I could make something pretty...maybe people would buy it... and I could give the rescue that money. So I started designing things. I asked other volunteers for input. I've made several and they are available for purchase from my ETSY shop. 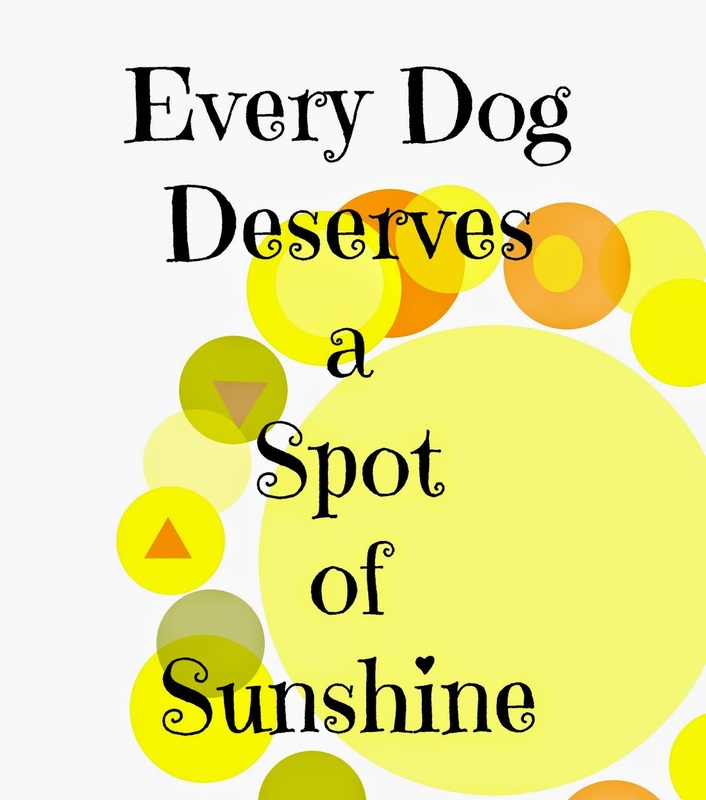 There are many adorable types, and they would be great for any dog lover in your life! I'm open to suggestions for quotes and color schemes - I'd love to make anything that you would buy! Thanks for reading and hope you all are well! Everyone, save Sophie. 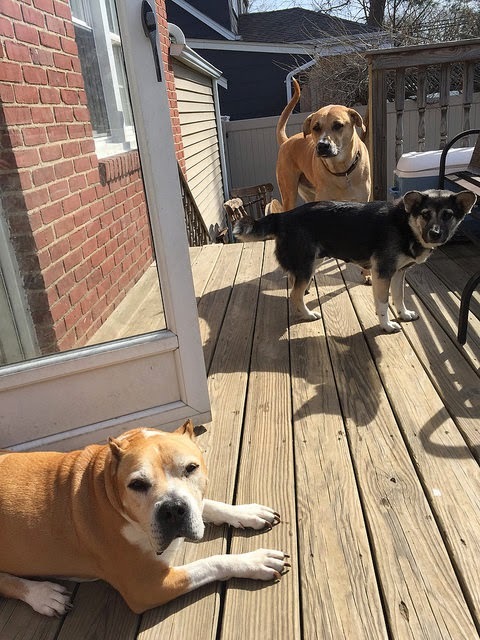 Peach loves to lay in the sun, Lani loves to run around the yard and Baxter likes to bark at birds and squirrels and bees and...well, everything. And here's this giant boy. Sitting in a seat. 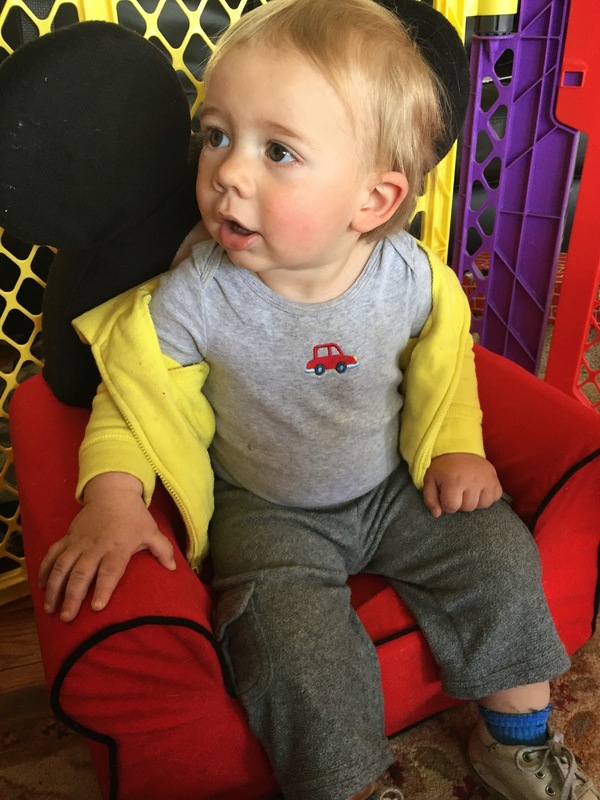 We have a one year old boy. My husband and I both work full time. We have a small house with a fenced in yard. We have three dogs - the third one is a recent addition, but none of our pups would qualify as "small". We have a limited budget. 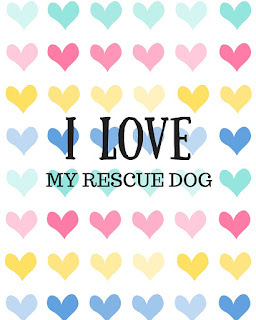 There is a rescue that is local to us, Ruff House Rescue, and they need volunteers every day, twice a day, to walk the dogs in their kennel and to clean the kennels. Our lifestyle, between work and the baby, is not one where I can give them a lot of time, because their morning shift is when I am at work, and their night shift is when I am putting the baby to bed (and going to bed myself because that baby gets up at 5 or 6 am). I cannot volunteer to help them the way that I want to. So, I have found other ways to help. 1. As often as possible, we foster. We had fostered this lovely girl recently, but I knew we would keep her as soon as I saw her. Her name is Peaches and she has had a rough life. We had to take her to the vet, and found out (unrelated to the malady she was there for) that someone had shot this girl with BBs! She is sweetness and light, and around eight years old, and my family will make sure that she has nothing but the most wondrous of lives from here on out. We will foster other dogs, and are currently having play dates with different dogs to see who fits in with our three! 2. We try to collect items they need and bring them to the rescue. They are often looking for dog toys, newspapers, plastic bags, bleach, paper towels, dog treats, etc. 3. We volunteer when we can. Sometimes it is to take a dog to the groomer. Sometimes it is to take a dog for a playdate. Sometimes it is to walk. Sometimes it is to help when they get a lot of dogs in on transport. 4. We share posts on Social media for the rescue. We share Facebook, Twitter and Instagram photos. 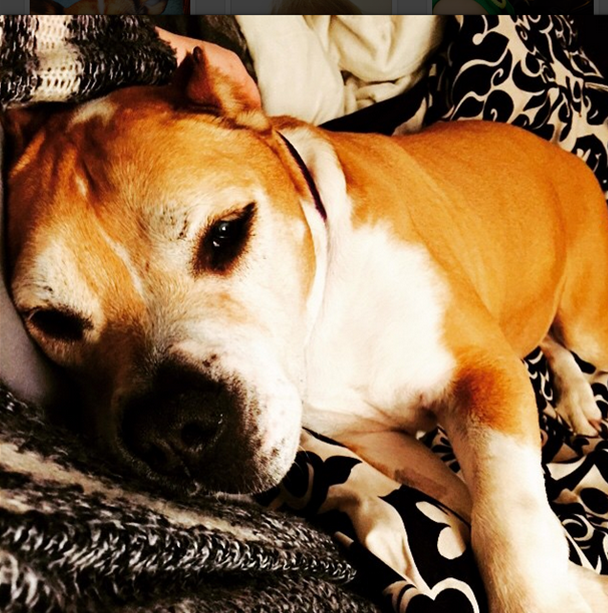 We take pictures of our foster dogs and talk about what kinds of situations we feel they would shine in. We try to share as many of the dogs as possible without being super annoying (well, it is probably super annoying, but whatever). Having hung out with some of these dogs, I get extra attached and really want them to find a loving home where they aren't crated 23 hours a day. 5. We raise money. This year, I participated in a yard sale where we raised some bank for the rescue! It was great to work with others for a great cause! I have created an art print in various colors to raise money as well! These are just a few examples. If you email me at feathermar@yahoo.com, I would be happy to send you one FOR FREE in exchange for donating directly to my favorite rescue Ruff House Rescue. Soon enough, we may have them available for purchase through their site. They are in a tough place right now, and need to relocate as soon as possible. I am amazed by these dedicated volunteers who put so much time and energy into saving so many dogs (and sometimes cats) and trying to find them wonderful lives. 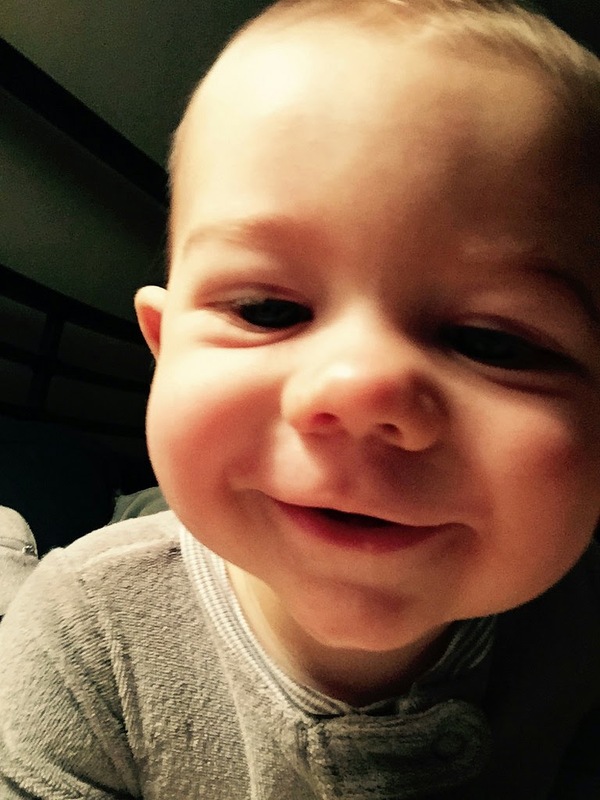 Obligatory re-introduction post about baby Henry, who is One Year Old. I volunteer for an awesome local animal rescue called Ruff House Rescue . I go when I can to walk dogs, and bring newspaper and plastic bags, and clean up puppy poop, and we have fostered one dog (so far). With a full time job and a fairly new baby and two dogs of my own, this is as much as I can help on a daily/weekly/monthly basis. But, sometimes you have to think outside the box! I have certain (hoarding) talents that lend themselves to yard sales - I'm pushy, I'm a collector who has to get rid of things, and I can do this with a baby in tow. 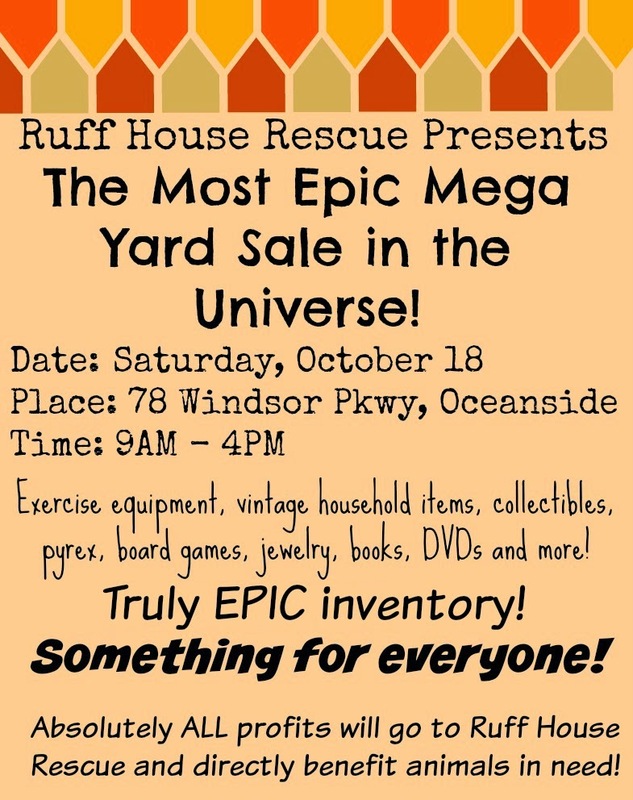 So, with many donations, and a new location - I am helping to host a yard sale where ALL profits go directly to the rescue, who will use them for food and boarding, toys and vet bills and other awesome things for the dogs and cats in their care! 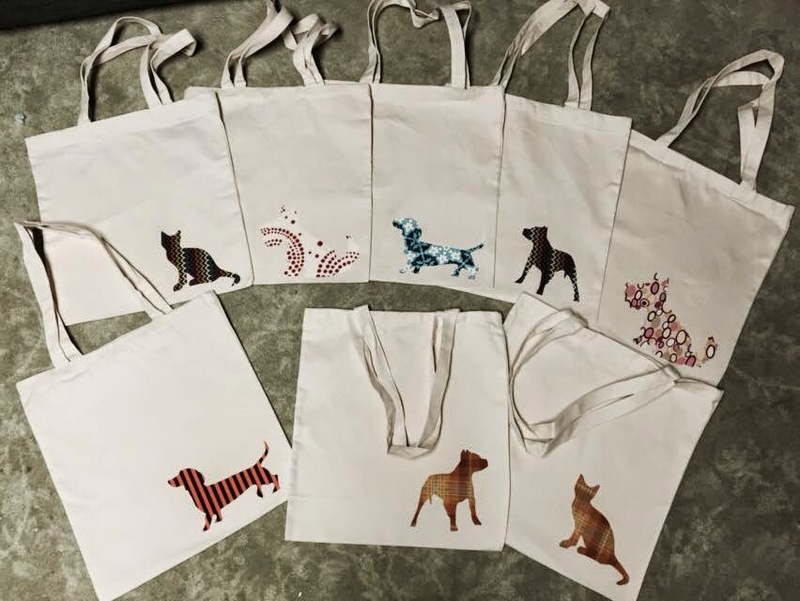 They are simply blank canvas totes with heat and bond appliques in silhouettes of puppies and cats! I thought they were really cute, and had bought the stuff to make them a while ago! I hope we make a lot of dough for a great cause! 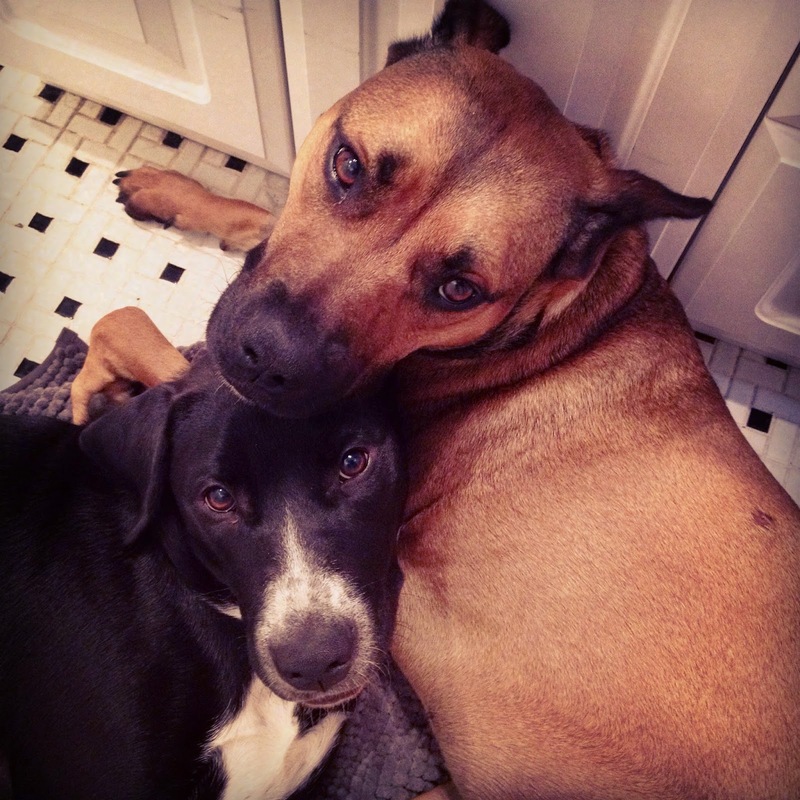 Here's Sophie with our foster pup, Reuben, who has already gone to his awesome forever home! And this guy will be at the sale, too! Henry will give you a smile and a giggle and maybe a snore if he is taking a nap! If you live on Long Island or close to it, we'd love to see you for a great cause! 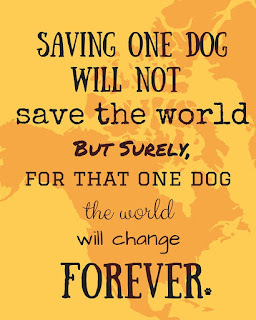 Or go to their website (ruffhouserescue.com) and check out the awesome animals they have ready for adoption and lists of their adoption events! You could volunteer as a dog walker, which will help YOU get exercise while giving the dogs some MUCH NEEDED attention and exercise! Why are you paying for a gym when you could help out a puppy instead? They need help, and I know you are just the person to do it! If you don't live close to hear, find a shelter in your neighborhood! One morning or evening a week could make such a difference in the lives of animals - sure - but it will get you right in the feels, too! 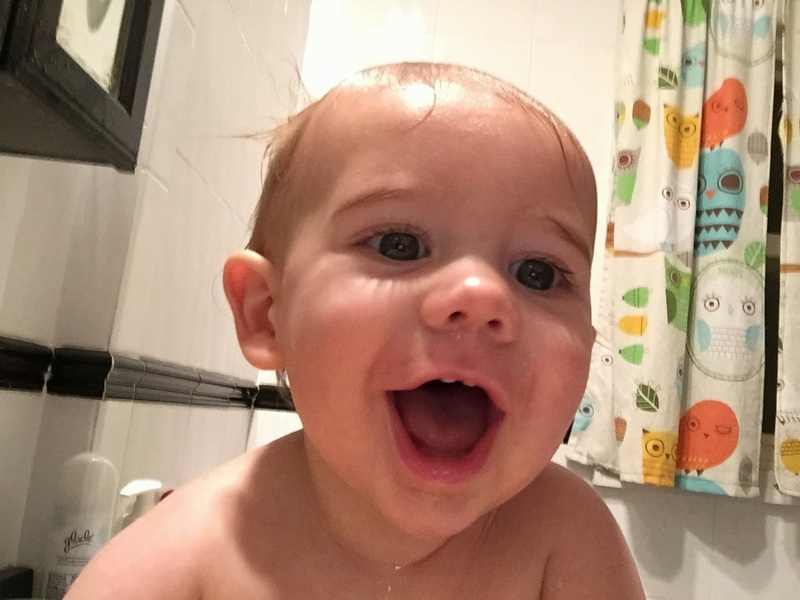 Fairly happy baby - teething, drooling, watches the dogs move around, likes to watch the kids move around at Nanas - he smiles a lot! Baxter, pretty much a lay-about. Always excited for food and drink and likes to pee on the fence, behind which a possum may or may not live. Sophie has been sick again. She has an auto-immune disease that makes her back legs and jaw especially painful. The answer, unfortunately, is steroids, and everytime we wean her off she gets sick again. We are trying an immunosuppresent, too, but I've got low expectations. Steroids aren't great for her, but her quality of life without them is pretty gross. Every morning, Baxter gives Henry some Good Morning kisses! I'm cranky. I'm a librarian. I like beer. I love bacon. I enjoy cake. I really like to make stuff. One day I may write a book that people other than my family will read. My secret power is suggesting a book that is perfect for your mood. This is a Flickr badge showing items in a set called Heather's Favorites. Make your own badge here.